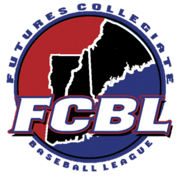 The FCBL Video Rundown gives regular video breakdowns to the most recent games across the Futures League including game recaps, league insights, and interviews all ound on the link below. Follow live scores and get deep statistics of your favorite Futures League team, complete with each team's stats, box scores & schedules. Pointstreak Mobile for iPhone also comes with a mobile-friendly version of GAME LIVE, a rich, graphically pleasing way to enjoy up to the minute game scores and play-by-play stats. Watch each Futures League game live online on the following page.